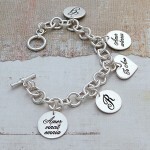 Beautiful and unique personalised sterling silver charm bracelet engraved with Latin love quotes and the initials of you and your loved one. 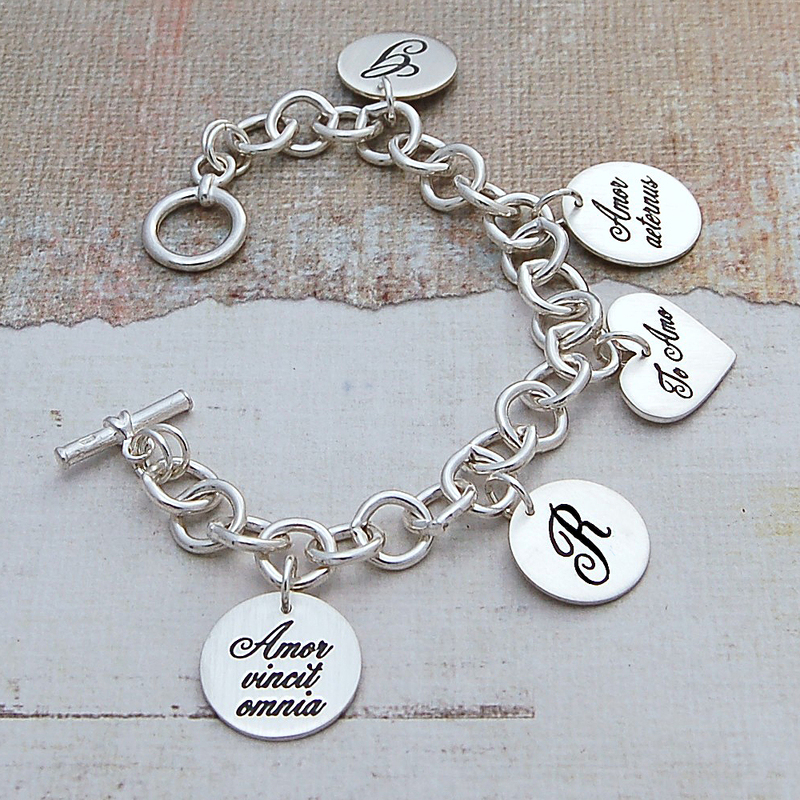 We wanted to create a beautiful personalised piece that was different so we decided to make a bracelet with Latin Love phrases and then let people make them personal so they have a lovely keepsake. 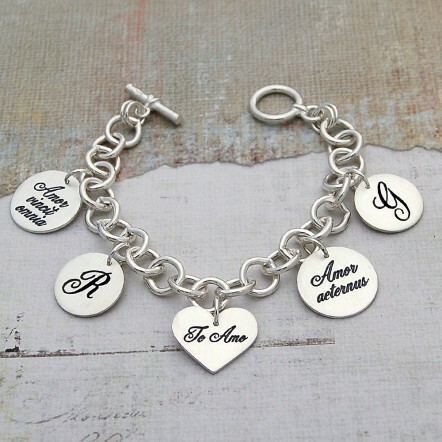 Firstly the heart has “Te Amo” etched on it which translates into “I Love You”. The first of the 18mm etched discs has “Amor aeternus” which translates into “Love Forever” and the second disc has “Amor Vincit Omnia” which translates “Love Conquers all”. 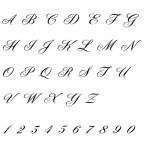 The two 16mm discs are for you to put initials of you and your loved one making it personal to you. 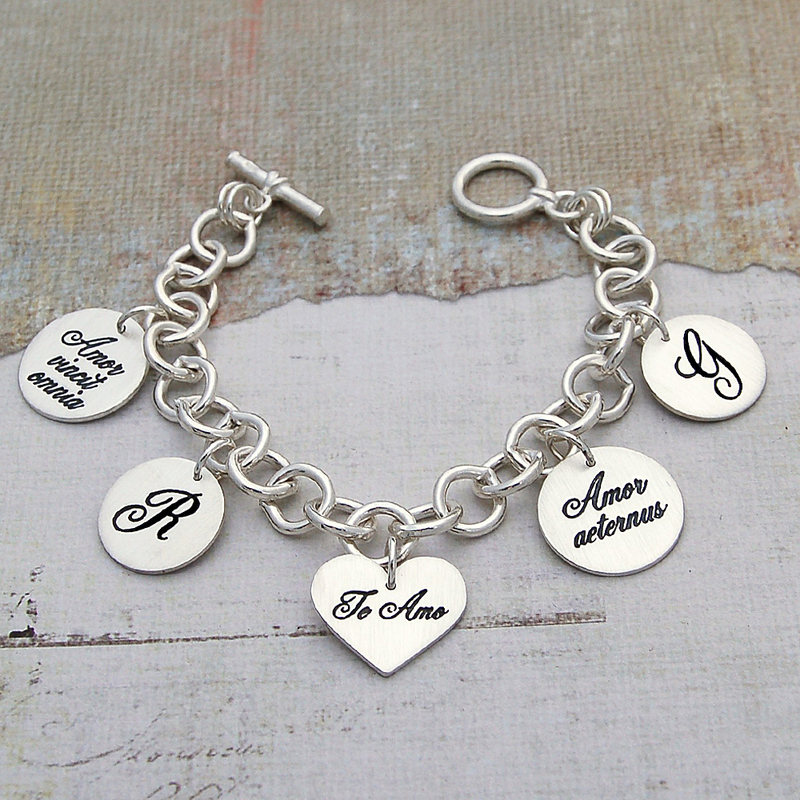 This handmade personalised Latin Love Bracelet is so utterly divine and luxurious and would make a fabulous addition to your jewellery collection or make a treasured gift for someone special. 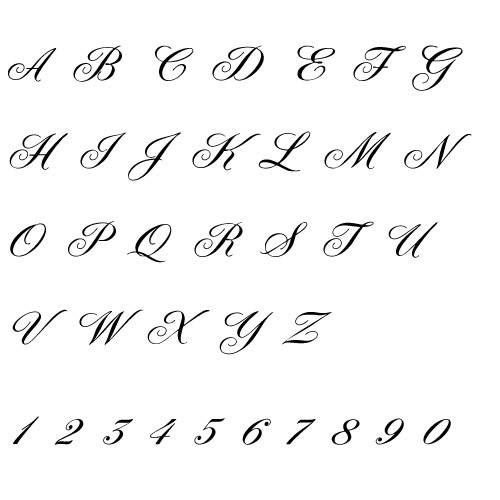 IndiviJewels designs and makes all its own jewellery which we are proud of so if you would like something a little different then please just contact us and we will see what we can do for you. 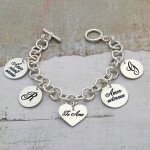 This bracelet is made with sterling silver. The two sterling silver discs are 16 and 18mm and 1.2 mm thick. The sterling silver heart is approx 22mm at its widest point and approx 25mm long.